Christian Fennesz (Vienna, Austria, 1962) started his career as the singer/guitarist/songwriter in the group Maische, one of the more interesting bands to occupy the viennese underground during the late eighties. Just watched the release year for "Mahler Remix" change from 2013 to 2014. 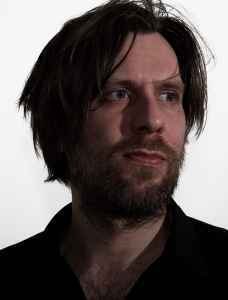 Fennesz is contemporary electronic music of the highest calibre. Songs usually consist of skillfull application and manipulation of dense sonic textures with a genuine feel of the live, real-time. There is frequent use of controlled time-smearing which utterly disassembles original sound sources, but avoids a regimented feel. Both live performances I've seen (London QEH 2001, ICA 2003) were awesome.